This is a portfolio of the best of Steve McCurry's photography: classical, magical and powerful images from South and Southeast Asia. McCurry takes photographs all over the world, for National Geographic magazine and his own projects, but it is the people, places, colors, and forms of Afghanistan, India, Sri Lanka, Cambodia and Myanmar (Burma) that have inspired his most sublime images -- photographs which transcend their original editorial purpose to become classics of photography. South Southeast features sixty-seven photographs with brief captions. 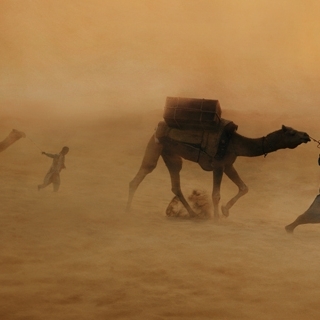 A short text about McCurry introduces the book, and he has written commentaries to accompany eight of the images, telling the stories behind them. Phaidon Press, 2000, hardcover, 154 pages.